Easy and leisure evening walking along this ancient water system helps you explore some of the local history and go close to the local’s evening life. Pick up from your hotel between 7:45pm and 8:15pm. Then take a walk along Banyan Lake and Fir Lake. After the one hour walking, go to enjoy the reflexology and relax. 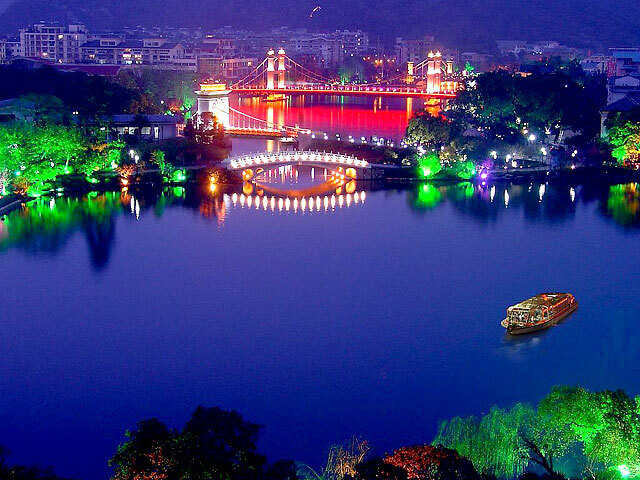 Banyan Lake and Fir Lake are located in downtown Guilin. They are like two pieces of crystal embedded in the central part of the city. The origin of both parks dates back to Tang Dynasty when they were part of a city moat. 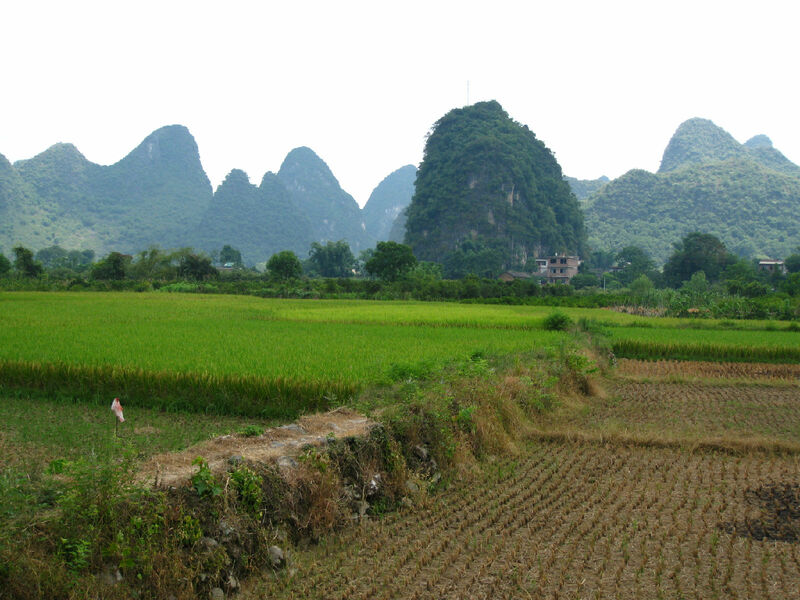 As Guilin expanded to the south, the moat became a lake within the city area. Built in Song-Dynasty, Blue Ribbon Bridge (now Sun Bridge ) separates the lakes. The Fir Lake was named after the fir trees growing on the shore and the Banyan Part got its name because of a large banyan tree standing on shore near the 1,000-year-old South City Gate. The two lakes together were often referred to as Round Lake . A Zigzag bridges lead to the Mid-lake Isle , which is dotted with long corridors, waterside pavilions and ancient buildings. 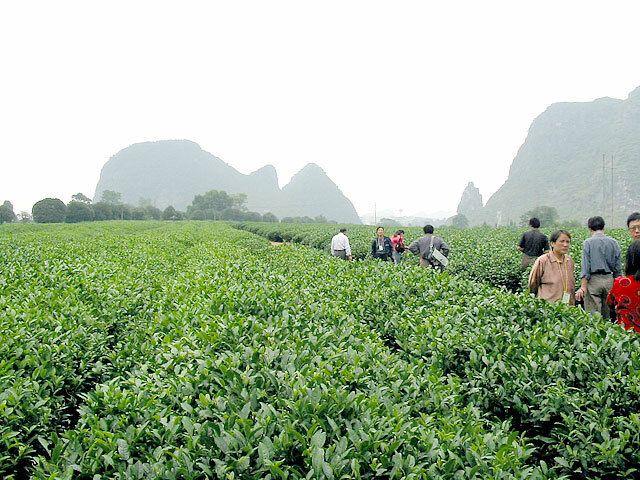 Washing your feet in Chinese herb soup at a foot massage studio is quite trendy in Guilin. In essence, it is a foot massage with traditional Chinese characteristics, a kind of health-care method. Foot massage helps people relax, strengthens the immune system and maintains the body's natural balance. It has now grown into an industry in China. Back to your hotel around 10:30pm. 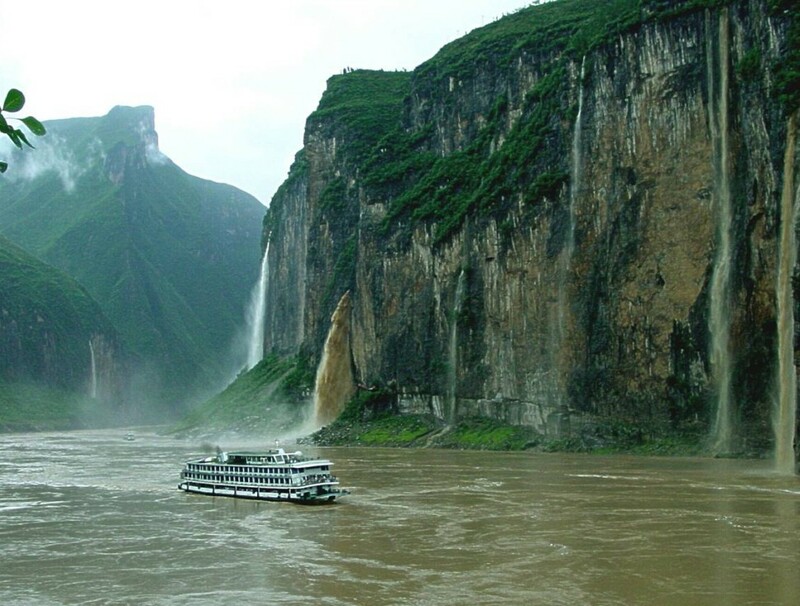 Hi, I will be traveling to guilin and would like a night tour. What is the price per person we are 4 people? Do you have different options? Thank you for contacting! 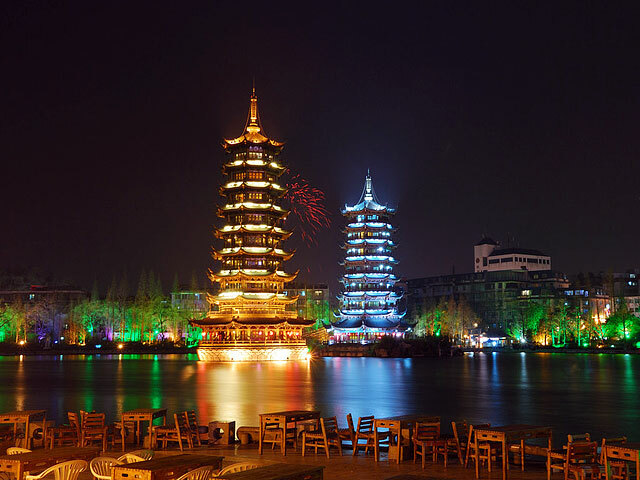 Besides the walking tour around the lakes and pedestrian street, there are night cruise on the central lakes, comorant fishing and some shows in the evening. My colleague will contact you via email for more details. Hi, I want to know if you have a join tour for 2 pax? We will be there about Nov 10, 2016. Thanks. We are very pleased to be of service to you. 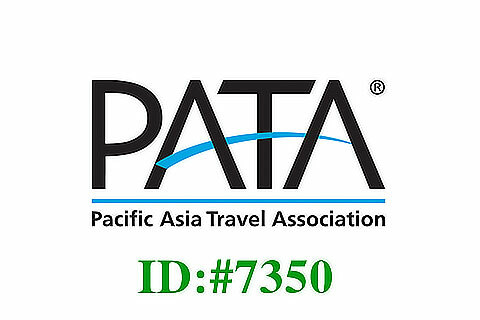 For your requested 3 tour programs, our trave specialist will be in touch with you soon via email. Thanks so much for the inquiry. We are more than happy to be of service to you. 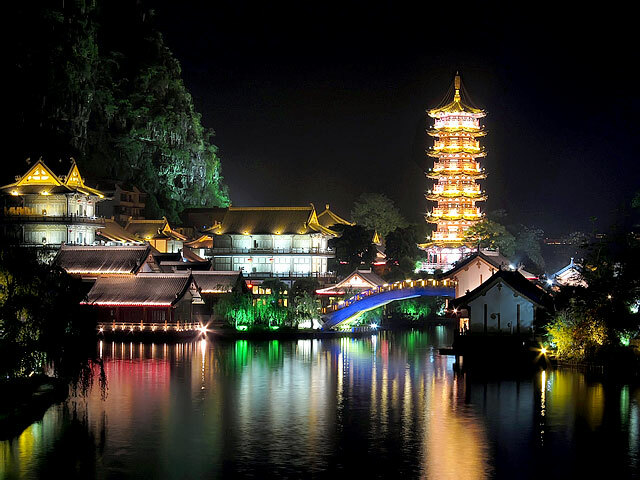 An evening stroll along the Guilin central lakes would be a highlight for your trip. 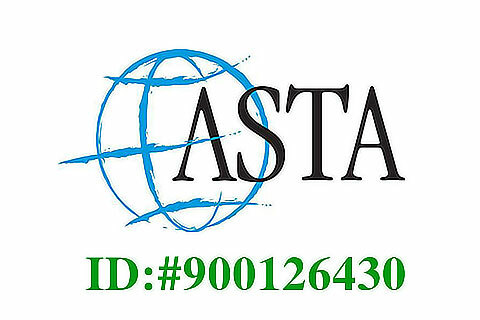 For more details, our professionl travel consultant will be in touch with you via email very soon.